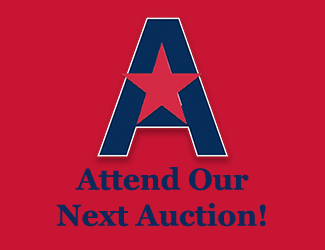 The American Auction Company is the team to hire when it is time to earn top-dollar value for your possessions, property or estate. For auctions, estate sales and consignments, we work closely with every customer and draw on decades of experience, in order to assign the proper value for every item we auction. We know how to package and showcase merchandise and how to create & market a special event that will attract and motivate qualified buyers at each estate sale and auction we produce. Based in Apex, NC, The American Auction Company specializes in auctions, estate sales, property sales and consignment sales. Our events usually include a large variety of items in categories such as furniture, antiques, collectibles, jewelry, coins, household items, electronics and lawn & garden equipment. We utilize traditional and online marketing to get the right people to the right events, and conduct dozens of sales every year. We incorporate box lots and consignment items into our auctions and estate sales to deliver a large variety of appealing items to every event we produce. Our Auctioneer Carl R. Helton (NCAL #3829) has conducted over a thousand auctions and estate sales throughout the Carolinas and Virginia. 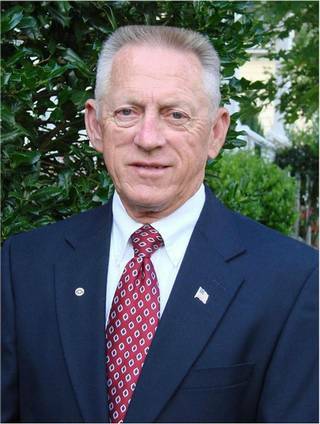 A long-time resident of Apex, Carl has served on the Apex Town Council, as President of the Apex Chamber of Commerce and on numerous committees and community organizations. Carl was named Apex Citizen of the Year in 1994. He is a veteran of the US Army 82nd Airborne. Our in-depth familiarity with Raleigh-Durham Triangle communities such as Apex, Cary, Morrisville, Holly Springs, Fuquay-Varina, Garner, Clayton, Sanford, Lillington and Pittsboro, gives us the working knowledge to stage profitable estate sales and auctions throughout the region. We’re proud of our reputation as effective auctioneers and welcome the opportunity to be of service to you. Whether it’s time to sell off years of possessions, package an estate for top-dollar results, or conduct an auction fund-raiser for your church or service organization, you can count on The American Auction Company. Please fill out our contact form to the right, or call us at 919-629-7064 or 843-458-4353. Let’s get started! The American Auction Company is here to serve you! Please fill out this form, or call us at 843-458-4353 to talk further about your auction, estate sale, consignment or charitable organization's needs. Our auctions are produced and promoted effectively. You get motivated buyers and competitive bidding. Our estate sales include detailed appraisals to help generate top-dollar results and rapid liquidation. Our consignment program helps clients turn possessions into profits without a lot of hassle or hard work.